November 1956, my father brought home a movie camera. He filmed Mom’s expanded belly wherein our new baby developed unbeknownst to my two sisters and me. Wearing a generous blouse, our mother stood on a ladder and hung tinsel and ornaments on our Christmas tree. According to Dad’s directions, the following February Mom walked through our front door in her black furry coat. Dad followed with a bundle of baby blankets in his arms. To our amazement, he sat on the sofa and unwrapped his fourth daughter before his camera propped on a tripod. Then Mom passed our baby around to my sisters and me, and then to Aunt Goldie who helped Mom care for us. We each posed with baby Patty in our arms, smiling into Dad’s camera lights. There was no end to our happiness. We gathered by Mom’s elbows as she bathed Patty in the kitchen sink. When our baby outgrew the sink, Mom carried her to the bathtub. Dad followed with his camera. We followed Dad. Month by month, Patty’s bones grew before our eyes as we beheld the miracle of our parents’ love without understanding the fruit of its spirit. We cheered when Patty walked at 8 ½ months. We laughed when she licked buttercream frosting from her chubby fingers. How we loved birthday cakes and ice cream! Then, like a thief, sorrow came swiftly the summer of 1958. I didn’t know why our parents left my sisters and me with relatives those days and nights while on vacation in Kentucky. We didn’t know Mom and Dad cried in Williamson Hospital. Afterward, Dad drove us home to Michigan as if nothing tragic happened. My mother presented Dad with their last healthy and beautiful daughter in 1961. Six years later their marriage succumbed to grief and regret smothered by my father’s alcoholism and abuse. 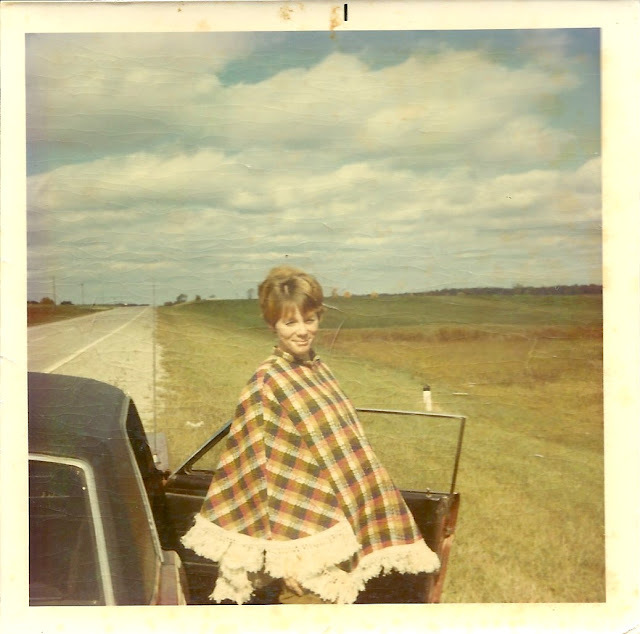 November 25, 1970, my husband drove me from Rosebush to Mt. Pleasant hospital. Two days later, I held our firstborn in my arms, sunlight shining through our Mustang's windshield and upon our daughter’s face. Later, my mother carried a belated Thanksgiving dinner into our doublewide to celebrate the birth of her second grandchild. To Mom’s delight, two healthy and darling Underwood granddaughters followed. Like my dad, I took movie pictures of their growth. In context of this history, perennial questions returned this November. Knowing the genetics she carried within her bones, what secret darkness persuaded my daughter to take her first drag of marijuana? Why didn’t the bones that grew within her womb grant her grace to walk away from alcohol and cocaine? Where did the coroner dispose of my grandchild's bones? Dear Reader, I confide this double sorrow, again resolve to rest these questions in God’s hands, for no one escapes suffering. We do not know the works of God who makes all. Yet, our Savior wipes our tears and waits beyond the grave. In Him, there is no end to our happiness.